Located in the heart of the city, 10 metres from the nearest connections to the public transport network, guests will find shops and a park 2 minutes from the hotel on foot and it is a mere 5 minutes' walk to the sandy beach. This city hotel was opened in 2005 and comprises a total of 26 rooms, of which are 2 junior suites and the rest are double rooms. The facilities offered by the hotel include a lobby area, where guests may relax, with a reception desk manned around the clock, a bar, a restaurant and a hairdresser. Guests may also take advantage of the car park and this establishment's modern conference facilities. The interior is decorated in tones which create the atmosphere of a refined mix between classic and modern. All rooms come with an en suite bathroom, a direct dial telephone, Internet access, cable TV, individually adjustable air conditioning and a minibar. Both lunch and the evening meal are available to be chosen à la carte. With a stay at Royal Constanta in Constanta, you'll be within a 10-minute drive of Mamaia Beach and Farul Stadium. This hotel is 1 mi (1.6 km) from Constanta Beach and 1.5 mi (2.4 km) from Luna Park. Make yourself at home in one of the 80 air-conditioned rooms featuring kitchenettes. Complimentary wired and wireless Internet access keeps you connected, and cable programming provides entertainment. Conveniences include safes and desks, and housekeeping is provided daily. With a stay at LONDON Hotel in Constanta, you'll be within a 15-minute drive of Mamaia Beach and Constanta Beach. This hotel is 1 mi (1.6 km) from Farul Stadium and 1.6 mi (2.6 km) from Constanta Casino. Relax and unwind with massages, body treatments, and facials. You can take advantage of recreational amenities such as a sauna and a fitness center. Additional features at this Mediterranean hotel include complimentary wireless Internet access, wedding services, and a television in a common area. Enjoy a meal at the restaurant or snacks in the coffee shop/café. The hotel also offers room service (during limited hours). Wrap up your day with a drink at the bar/lounge. Make yourself at home in one of the 48 air-conditioned rooms featuring minibars. Your room comes with a pillowtop bed. Complimentary wired and wireless Internet access keeps you connected, and digital programming provides entertainment. Private bathrooms with showers feature complimentary toiletries and hair dryers. Make yourself at home in one of the 20 guestrooms featuring minibars. Located in a brand-new building which perfectly suits Constanta's style, Pacific Aparthotel offers spacious studios and apartments, ideal for both business and leisure travel. 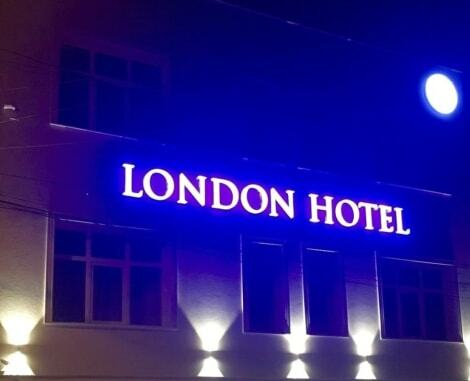 The hotel is located in a bustling area of the city, within easy reach of all of the important businesses and interest points for holidaymakers. Each studio and apartment is equipped with a fully furnished kitchen so that guests can prepare and enjoy home-cooked meals. 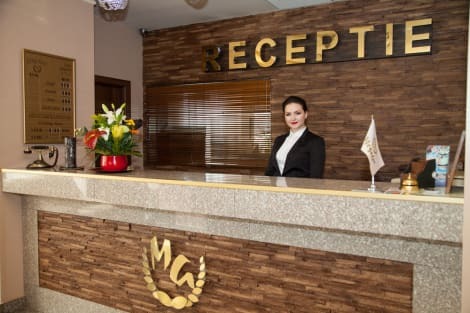 The hotel also has a restaurant offering international cuisine, a conference room for the convenience of business travellers, and a free guarded parking. When you stay at Tomis Garden Aparthotel in Constanta, you'll be on the beach, within a 10-minute walk of Mamaia Beach and Lake Siutghiol. This beach aparthotel is 0.4 mi (0.7 km) from Ovidiu Island Pier and 0.6 mi (0.9 km) from The Royal Villa of Mamaia. Take advantage of the hotel's 24-hour room service. A complimentary buffet breakfast is served daily from 7:00 AM to 10:00 AM. lastminute.com has a fantastic range of hotels in Constanta, with everything from cheap hotels to luxurious five star accommodation available. We like to live up to our last minute name so remember you can book any one of our excellent Constanta hotels up until midnight and stay the same night.